Brush your mo’, Amsterdam is again playing host to a Movember fundraiser featuring beer from several of OCB’s finest. Its on a school night but there are more than enough reasons to make it worth going out for, including the fact that all proceeds go to prostate cancer research and awareness. Also, there will be more beer-mustache puns than you ever wanted to hear. 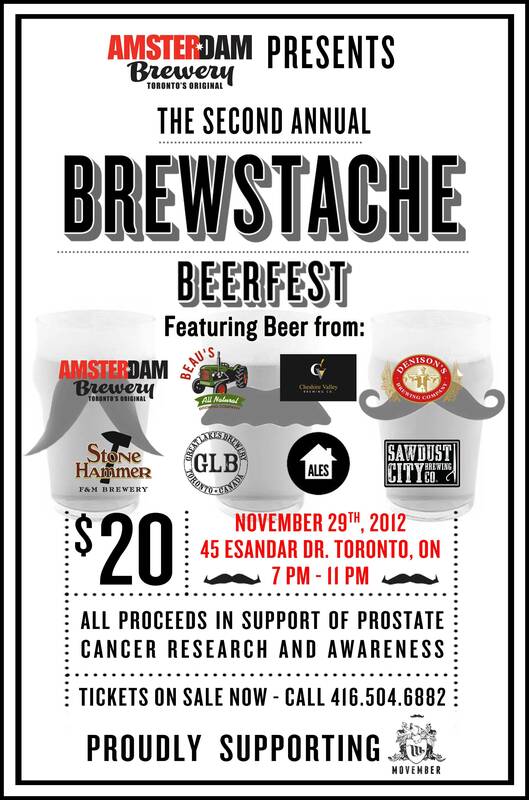 Why: 60% to raise money for prostate cancer, 25% for hipsters to show off mustaches and 15% to drink good beer.